This post has been sponsored by Papyrus Recycled Paper Greetings. All thoughts and opinions are my own. Thank you for supported brands that make this blog possible. Mother’s Day is just a short month away, and I’m currently brainstorming how I’m going to spend Mother’s Day with my mom! I’m a single 30 something with no children who is really close to her mom, so I love being able to spoil her on Mother’s Day! For us, it goes beyond a card and a gift. I’d much rather spend time doing something special together. 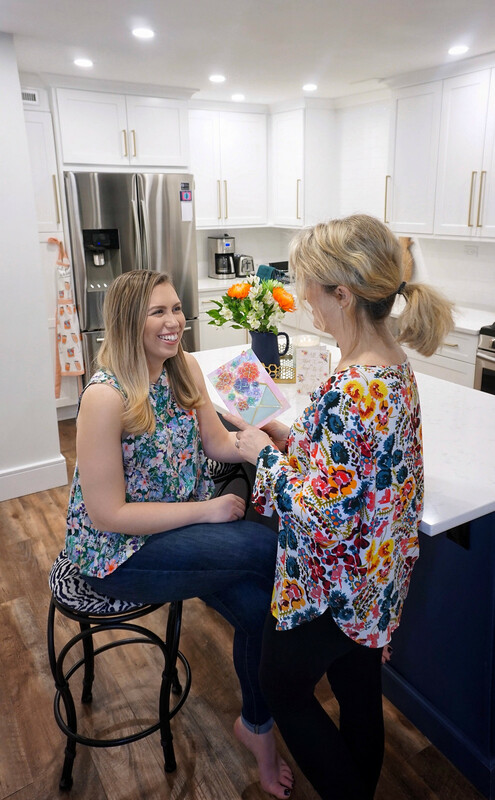 While I haven’t quite figured out how I’m going to spend Mother’s Day with my mom yet, I do know that I’m picking up a PAPYRUS® Greeting Card from Acme this year! 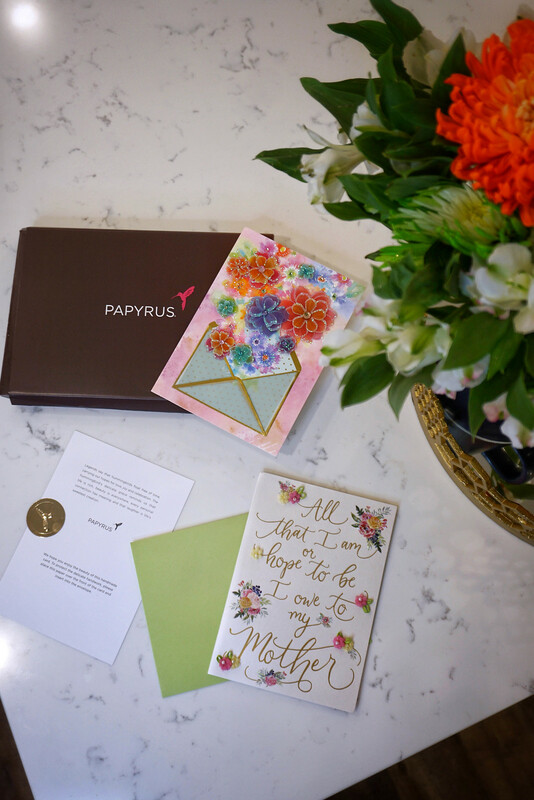 I like to make my Mother’s Day plans special, so I love that Papyrus creates exquisitely-crafted products with remarkable artistry, the finest materials, and luxurious embellishments! They’re unique and one-of-a-kind, just like my mom! Greeting cards evoke memories, and I tend to keep the special ones so that I can look back years later and think about all the great times I had with the person that gave it to me. And I know my mom does the same thing! Don’t know what you’re going to do this Mother’s Day yet either? Here are 5 Ways to spend Mother’s Day together this year! 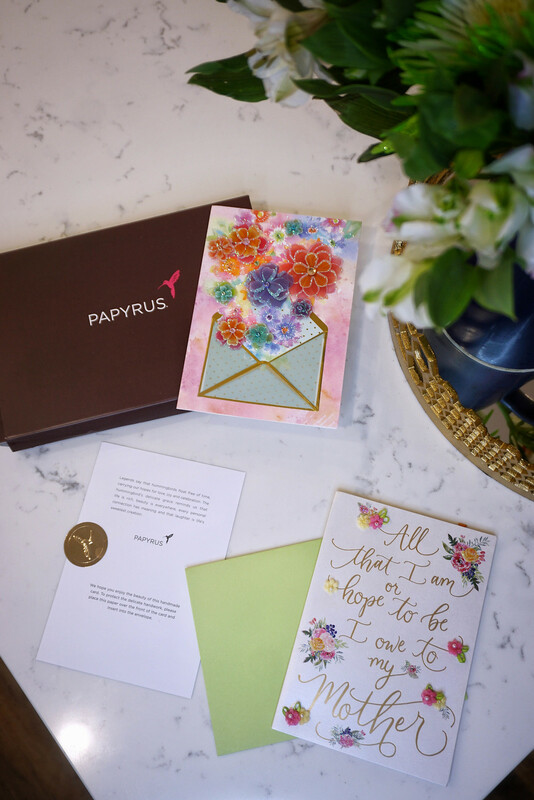 From a decadent brunch to getting dressed up to see a performance, there are so many luxurious ways to spoil your mom this year, starting with a Papyrus greeting card! Since I have a new apartment and my mom’s kitchen is under construction, she loves coming over and cooking together at my house! And while I definitely admit that she does most of the cooking because I’m not the best cook yet, I love entertaining and learning new techniques and recipes from her. Maybe soon I’ll be the one that can do most of the cooking for holidays! 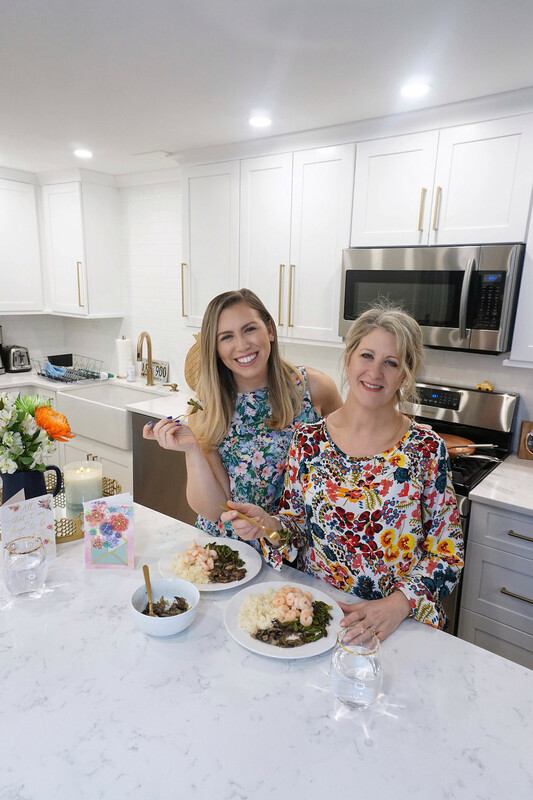 Love the idea of cooking and trying a new recipe but don’t love to clean up? 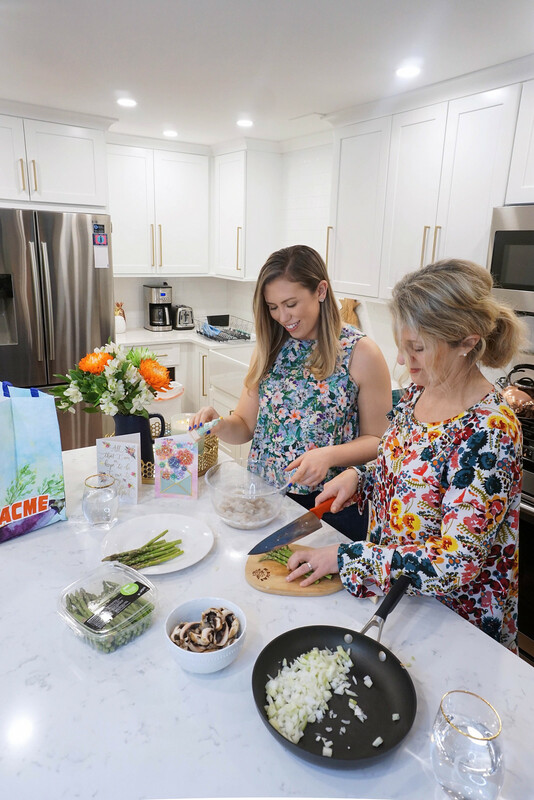 One of my favorite ways to spend Mother’s Day with my mom is by taking a cooking class! We’ve done this on many occasions and always have the BEST time! It’s such a fun way to spoil her, and I love the elegance of learning new techniques from professionals. We’ve picked up so many cooking tips learning from the chefs that teach the class. Plus, we love trying new things that we might not have ordered at a restaurant or tried to make at home. If your family isn’t big on cooking, maybe try a yoga class or a paint & sip class! Cooking not really your thing but you love to eat? Heading to brunch at a new and fun restaurant is another one of our favorite things to do! We love trying new restaurants and breakfast is both of our favorite meals, so this one is a no-brainer! But don’t forget brunch on Mother’s Day is super popular, so make sure you make a reservation at your favorite place ahead of time! While New York might be known for our on-stage performances, you can always check out the theater in most major cities! We went to a show a few years ago for Mother’s Day and had a wonderful time getting dressed up and seeing an impressive performance. We spent the entire day in the city, stopped for brunch (obviously), did a little shopping and just wandered together! In New York, the weather can be pretty temperamental in May, so we’ve done everything from taking a family walk and having a picnic to sunbathing and heading to the pool! After a long winter, we’re all about spending as much time outside as possible as a family. Hosting a family brunch or dinner outside on a patio is a wonderful way to welcome spring! 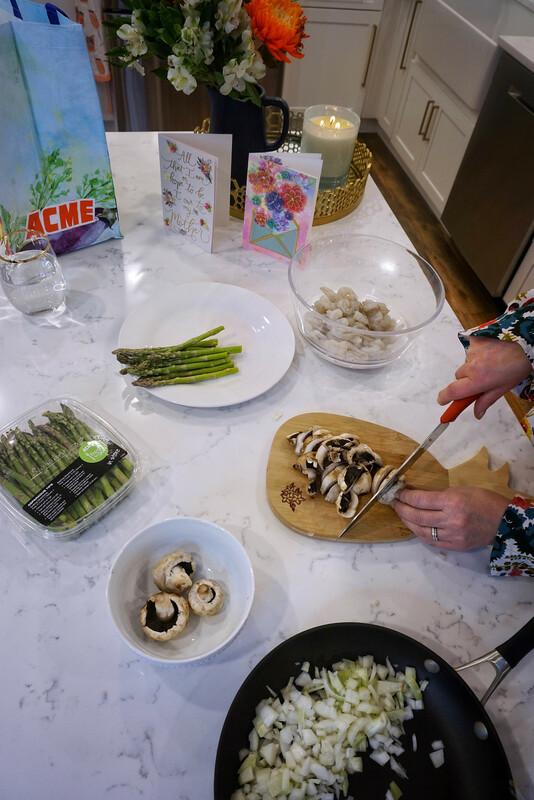 And don’t forget to shop at your local Acme for the perfect one-of-a-kind Papyrus Mother’s Day card once you plan your Mother’s Day activities! They had SO many beautiful options at my store, and I can’t wait to pick up a few more to send to my friends for Mother’s Day!